Dr Jonathan Mason moved to Australia in 2009 to help improve the lives of people with a cognitive/intellectual disability. Here he talks about the positive difference he is making to of some of Australia’s most vulnerable people. Tell me about your role working with people with disabilities. I’m an Individual Response Leader with the Queensland Government Department of Communities.Working for the Specialist Response Service, I lead one of seven regional teams responsible for implementing a state-wide reform agenda called Positive Futures, which aims to improve the quality of life for people with a cognitive or intellectual disability by reducing the use of restrictive practices. We work on the ground with local disability service providers, families and guardians to identify what restrictive practices are in use, carry out assessments and put together individual positive behaviour support plans. 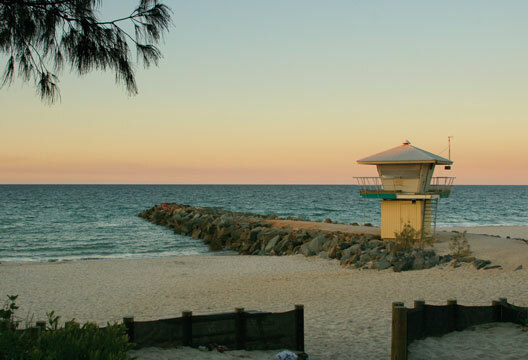 My team is based on the Sunshine Coast, and there’s a principal clinician, several senior clinicians and clinicians as well as some specialist response officers and administration staff that report to me.The people in my team come from a range of disciplines – allied health, social, behavioural, health sciences and related fields. We use therapeutic intervention and specialist alternatives in behaviour management practices to assist adults develop positive behaviours and skills for community living. I was Head of Psychological Services at Cedar House Hospital in Canterbury when I spotted an advertisement in The Psychologist for a role as an Individual Response Leader. The role seemed to tick all the boxes for my family and me. Career-wise, it was an opportunity for me to step into senior management and be instrumental to a new approach to practice. Furthermore, my wife Anna and I had just started a family and were keen to move somewhere warmer, with a better lifestyle in which to bring up Matilda. What also attracted me was that the Specialist Response Service in Queensland was trying to achieve a similar outcome to the work I was doing at Cedar House – to improve the quality of life for adults with an intellectual or cognitive disability who have severely challenging behaviours. I applied for the Individual Response Leader position and was successful. In January last year, with assistance from the Queensland Government, we packed up and moved to Australia. What’s it like working in Queensland during a time of major reform to their disability services sector? This job has been a once-in-a-lifetime experience for me. The Queensland Government is making major changes to the way disability services are provided for its most vulnerable residents. Through Positive Futures we’re aiming to uphold the human rights of people with a disability by supporting the disability sector to implement a range of empowering positive behaviour support practice reforms. The state government has six years in which to make this vision a reality, with early results from the programme showing quality of life for this groupof people is already starting to improve. I’m aware that some clients have already made significant steps to participating actively in their community. It’s exciting to be a part of something new and to feel like you’re shaping Queensland’s future. Positive behaviour support is about addressing the needs of an individual with challenging behaviour so as to improve their behaviour and their quality of life. Unlike traditional methods, it uses collaborative, assessment-based approaches that integrate behavioural science and a person-centred values framework. Community participation, changes to systems and environments and a focus on social relationships are important features of this approach. In Queensland, we’re doing things this state has never seen before. Through Positive Futures we’re getting local communities involved and reconnecting adults with their families. We’re also in the middle of a significant capital works programme to deliver purpose-built accommodation that will provide a domestic short-term environment that’s safe for the adult clients and support staff. What sort of training do you need to work for the Specialist Response Service? To work as an Individual Response Leader, you need to have significant clinical experience working with people with an intellectual disability and challenging behaviour. You also need management experience, particularly in managing clinicians from a range of backgrounds. It’s quite a strategic level role where you’re involved in developing new services and leading others through major organisational change and reform. So it’s important to have experience in these areas too. If you’re an allied health or human services practitioner from disability, mental health, special education or another related background, then depending on your experience, there are various clinical as well as direct support roles on offer with the Specialist Response Service. How has working in another country benefited you professionally? Human services are generally organised differently in Australia. Here, they take a multidisciplinary approach to managing teams rather than managing along professional lines. They also have different approaches to clinical, administrative and management roles. Although this introduces a very steep learning curve, in the end it broadens your skills on many levels. It forces you to learn how to adapt to new situations. For me, it’s also been a reintroduction to life in the public service, which has been great training in working with large systems and complex processes. What’s the biggest piece of advice you can give someone interested in working abroad? For professional staff, think carefully about which professional organisations you want to join, and join them before you leave the UK. Otherwise, you will spend a long time chasing paperwork from the other side of the world. If, for example, you want to be recognised as a clinical psychologist, you will need to be a member of the Australian Psychological Society (APS) and the Clinical College. For families, try to set about a week aside to do things like a organising a driver’s licence, checking out places you might like to live and finding out about the health system. If your partner works too then finding the time to get these things done can be a real challenge. And before you buy a car, check out what everyone else is driving first – don’t try to get something like the car you had in the UK (this approach doesn’t work, trust me). Do you have any specific advice for those interested in relocating to Australia? Making friends in another country can take time so you’ll be relying on your networking skills a fair bit in the beginning. And be prepared for some culture shock. It’s easy to assume the transition will be smooth because of the many obvious similarities between Australia and UK. But actually there are enough small differences to make you feel like you don’t know what’s going on sometimes, and that you really are in a foreign country. On the whole, Australians are generally warm and welcoming people. I have no doubt you’ll find yourself invited along to a barbecue and a game of cricket on the beach with a group of new friends sooner rather than later. Last but not least, is the weather in Australia really as good as everyone says? Absolutely, the weather is great. Although everyone asks ‘how will you handle the heat?’, and it does get hot in summer, you actually adapt to that very quickly. The Australian landscape is unlike anything you will ever find in Europe, and will impress you each and every day.